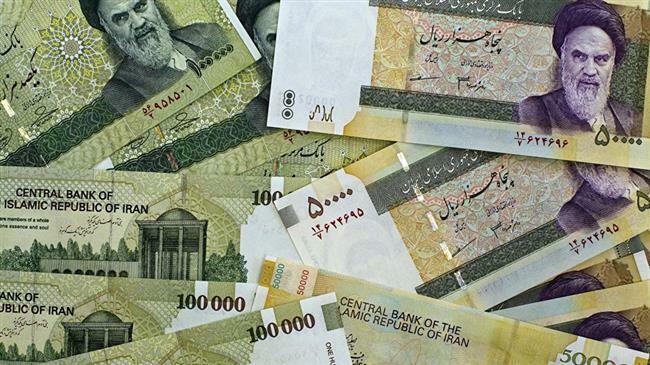 Iran’s rial bounced back on Tuesday from a record low which has seen the national currency lose nearly two-thirds of its value since the start of the year. It strengthened 13.72% against the dollar at 109,000 after hitting the record low of more than 120,000 on the unofficial market on Monday. The euro was trading at 117,900 rials, shedding about 20,000 rials from the day before. It came after the government pledged to unveil a new package to regulate the forex market which has seen choppy trading since May when US President Donald Trump announced plans for new sanctions on the Islamic Republic. The new governor of the Central Bank of Iran, Abdolnaser Hemmati, on Monday attributed the currency market volatility to the enemies, saying they were out to destroy the country’s assets and instill disappointment among the public. Tehran police chief General Hossein Rahimi said 35 people had been arrested in recent days for disrupting the forex and gold coins market. Earlier this month, Rahimi said police had arrested a man and his accomplices for collecting two tonnes of gold coins over several months in order to manipulate the market. “The forces of the three branches of power and the law enforcement are determined to deal with the disrupters of the currency and coin market,” he said on Tuesday. He said dealers are considered among the main agents of the turmoil, who are exacerbating the market volatility through fixing prices. “They have been served the final warning to stop their fraudulent maneuvers on the market,” Rahimi said. In doing so, the government sought to engineer a controlled depreciation of the rial in order to prop up the export sector and attract hard currency into the country to offset the fallout from Trump’s reimposition of sanctions. As the plan went into effect, police were deployed to monitor money exchange shops and arrest anyone trading foreign currencies at higher prices. That came to pass as an internet platform which the government had launched to allow eligible importers to apply for hard currency at the lower official rate did not work. According to Mohammad Hossein Barkhordar, a member of the Iran Chamber of Commerce, Industries, Mines and Agriculture, no importer has been able to register a single order at the rate of 42,000 rials to the US dollar so far. As a result, many Iranian businesses and those hoping to travel or study abroad who were desperate for foreign currencies had to go back to the black market which the government ban had created and the result was an incredible depreciation of the rial. The situation touched off a wave of panic buying by ordinary Iranians, who fearful of further devaluation of the rial amid the market chaos, began converting their money to more reliable assets. Last Wednesday, Hemmati replaced Valiollah Seif as the top Iranian banker as pressure grew on the government to prevent the situation from spiraling out of control. The government also launched a secondary forex market where importers and exporters are supposed to reach a consensus over the rate of the dollar. That is possibly an antidote to further shady businesses, especially after a media report on Wednesday that petrochemical companies which provide a steady supply of foreign currencies had colluded with private exchange bureaus and fixed prices.